Memphis Suit Project has much to be thankful for this year! We are incredibly thankful to all of our participants and the tremendous job they are doing to better their lives and their communites! We could not be more thankful to all of our donors that help make MSP make such a large impact in the Memphis and surrounding areas! Thank YOU! Everyone have a wonderful and safe Thanksgiving! Watch Antaun as he explains how receiving his new suit will better himself in his future career and impact younger men in his community. Antaun is an athelte from University of Memphis and is working hard at his academic goals. Antuan is a contagious personality that we all enjoyed getting to know. Thank you to the @Apple Store Saddle Creek for partenering with MSP to provide great presentaion skills training to each of our students. 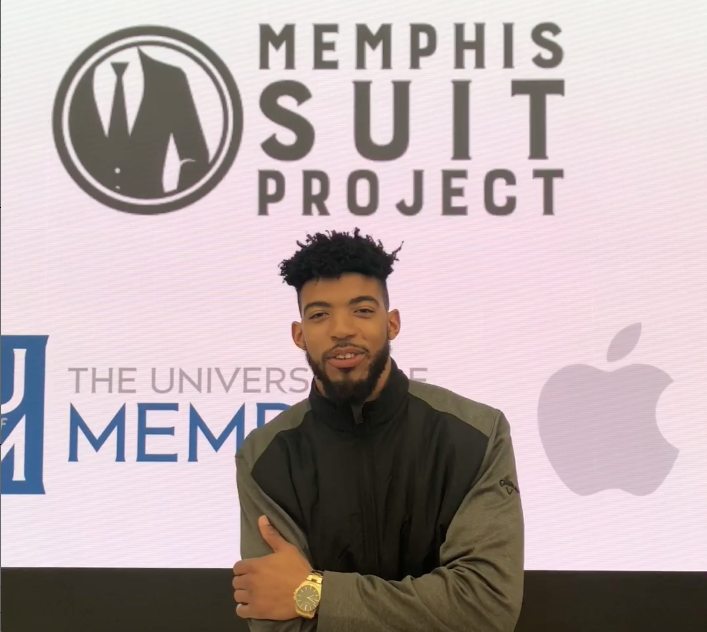 Check out this article from University of Memphis telling of how the partnership between Memphis Suit Project and PAWS program worked beautifully for the athletes and their future careers. Our recipient Matthew Kamph was featured along with our own Meghan Heimke. Here's a little peek..."Having the suit is really a great incentive," Kamph said. "I was someone who did not have a suit before this project. By using this as a stepping stone to get a suit, I've been able to get into select classes and a lot of interviews. A lot of doors have opened up." Donor Mike Conley puts his money where his mouth is. 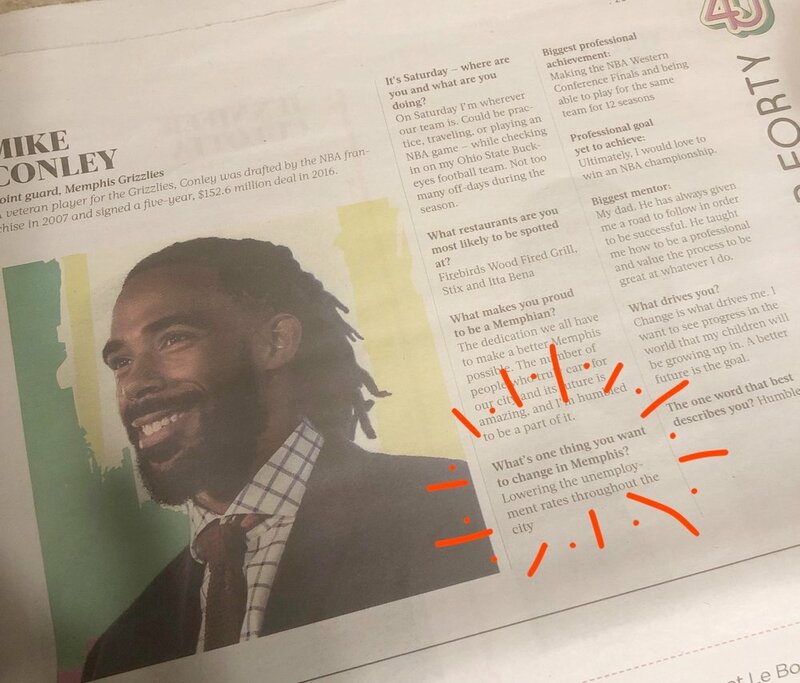 We are thrilled to see that Memphis Grizzlies point guard (and hometown favorite) Mike Conley was recently named one of 2018 “Top 40 Under 40” by Memphis Business Journal. In Mike’s Top 40 Under 40 feature in the latest MBJ issue, he cites that the one thing he would change about Memphis is “lowering the employment rates throughout the city.” We can speak first-hand to his commitment to make this change a reality. Mike has been a supporter of Memphis Suit Project for two years; in 2017 by the sponsorship of Mayor Jim Strickland’s Manhood University participants, and in 2018 by sponsoring both the Memphis Athletic Ministries cycle and the CodeSchool cycle, which will culminate at their Suiting Event this Wednesday at 10 am. Without the support of Memphians like Mike Conley, who not only see the challenges unemployment creates, but also act to support solutions to those challenges, our City will continue to face an unemployment crisis. Memphis Suit Project is a solution that is making a significant impact on job-seekers securing and maintaining employment. Mike Conley is an example to the students we serve. He uses his platform and resources to do more than lip service….he makes a difference. And we are all better for it. Continued thanks to Mike and Tim Jordan, who both selflessly give for the betterment of others. Watch Cheryta as she explains how she is wanting to make an impact on younger girls' lives. Cheryta recently completed our Presentation Skills training at the @Apple Store Saddle Creek. We enjoyed getting to know Cheryta and the whole MAM group. A big thanks to @Mike Conley for impacting these students lives in a unique way. Calling ALL Daddy's and Daughters!! Chick fil A Daddy Daughter Date Night is coming up soon, November 15! This event is super fun and impactful for daddy's and daughters alike! Make your little princess' dreams come true with food, fun, dancing and the zoo! by Jeff Haden via Inc.
Changing your greeting can result in nearly one more out of 10 people responding to your emails. Watch Sequoia as she explains how she is preparing herself for a career in athletics. 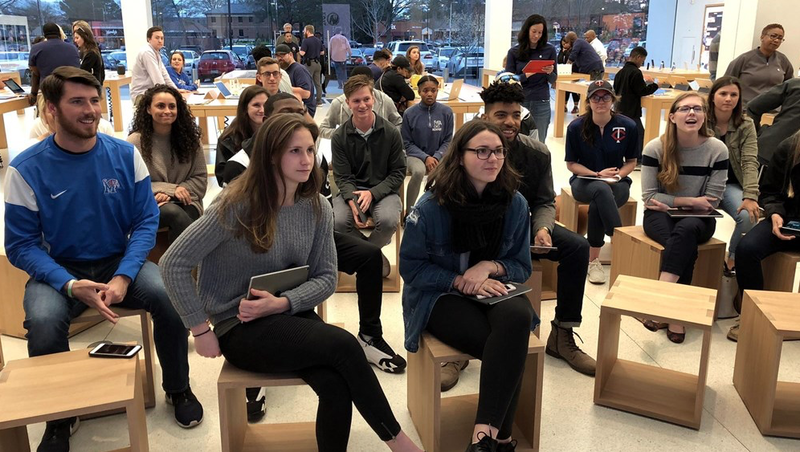 Sequoia recently completed our Presentation Skills training at the @Apple Store Saddle Creek. We enjoyed getting to know Sequoia and hearing about her plans to give back to her community! Your Labor Day may consist of pool lounging, burgers and shopping, but did it include a workout? 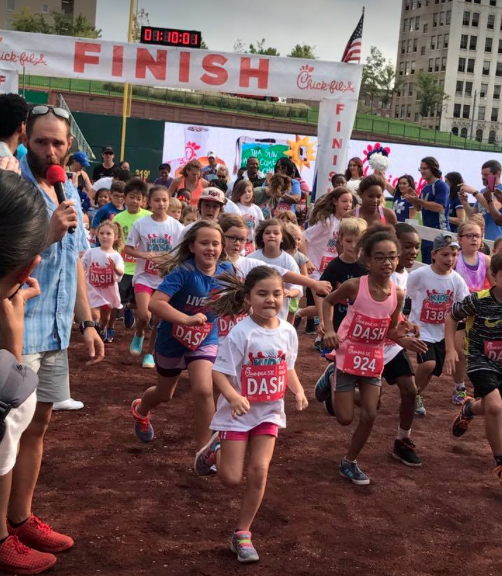 Nearly 2,000 people got a run in first thing on Labor Day morning at the 16th annual Chick-fil-A 5K. Chick-fil-A Mid South is dedicated to giving back to their community in many ways. 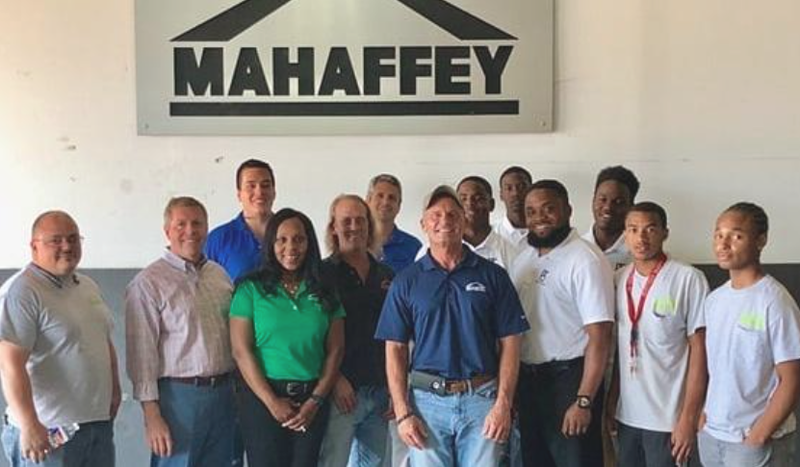 We love our partnership with them and enjoy seeing the other ways they give back to Memphis! Watch Makennon as he explains how he is prepared to enter the workforce by entering the military after graduation, then serve in federal law enforcment. Makennon is a past recipient from University of Memphis PAWS program. Let's all cheer on Makennon as he graduates and starts a great career! Watch Landarius Griffin as he explains how he is preparing himself for a career and as a role model. Yarterius is a past recipient from Holly Springs High School. Landarius has a quote at the end of his video that you don't want to miss! 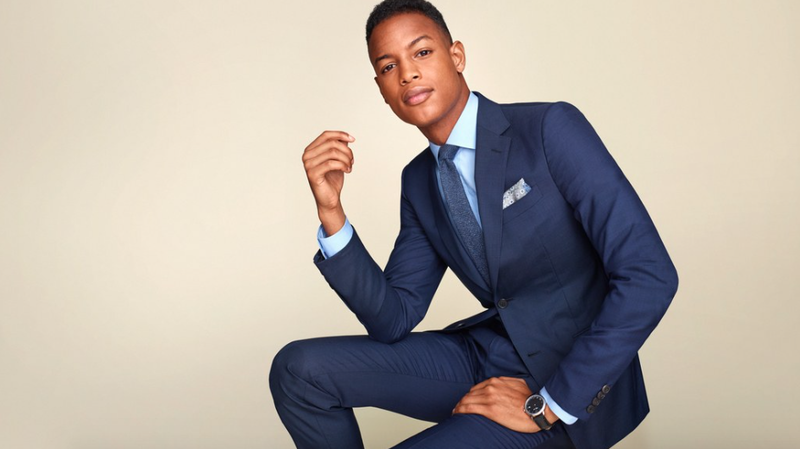 Every man should own a great suit. Zero exceptions. And while a great suit will make you feel (and look) sharp, world-wise, and sophisticated, a bad one will make you look like a hack or some man-child who still gets dressed by his mommy. So it helps to know a thing or two about buying, wearing, and caring for the one you choose. Watch Yatterius Griffin as he explains how receiving a new suit will help him in his professional career! Yarterius is a past recipient from the Hooks African American Male Initiative (HAAMI). Can’t wait to see this young man achieve his career dreams!